The withheld MEGA information is critical. Without this data, it becomes increasingly difficult to determine whether MEGA actually stimulates economic growth and represents a worthwhile investment of state resources. 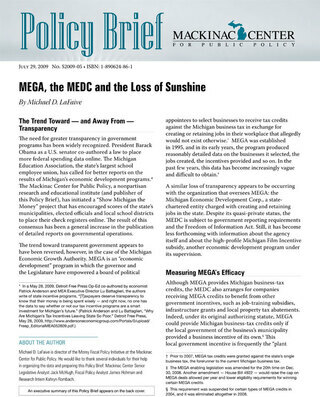 State policymakers serious about serving the public will need to address MEGA's growing lack of transparency — or consider ending the program altogether.